How the hot Phoenix weather damage your plumbing? Phoenix weather is known for its year round sun and warm temperatures. Being known as the Valley of the Sun, Phoenix is exposed to high temperatures making its major structures susceptible to natural destruction. One of the backbone of any livable structure – house, building, office, shopping mall, government office is the plumbing. And while everyone is concerned about the air-conditioning during hot weather, very few thinks about plumbing. Not just clogged pipes, leakage is another problem homeowners will face during the hot Phoenix weather. Garden hose and sprinklers are most affected as these are exposed to direct heat. The parts will be brittle if left for a prolonged period under the sun. Another reason for leakage is the bursting due to oversupply. Rapid flow of water causes the pipe to overflow especially if the ones installed is the weak one or if there are minor cracks already, it will eventually break. What to do to keep your pipes safe? Home remedy such as hot water, baking soda, and drinking soda to clean a clogged pipe is one suggestion. Over the counter sealant can be used for temporary sealing cracked pipes. Checking of the visible plumbing connections should be done on a regular basis to avoid further bigger damage. Maintaining a clean environment (around the house or office) is the key. Don’t let anything on the sink after washing the dishes. Fallen hair should not be spotted as well on bathroom. Keep your lawn moist so the pipes won’t get dry. By doing so, you are not only helping your household on the future damages but on the environment as well. Water leakage can cause problems with water resources by wasting millions of gallons of water and it also shuts off water to numerous consumers when they need it the most. 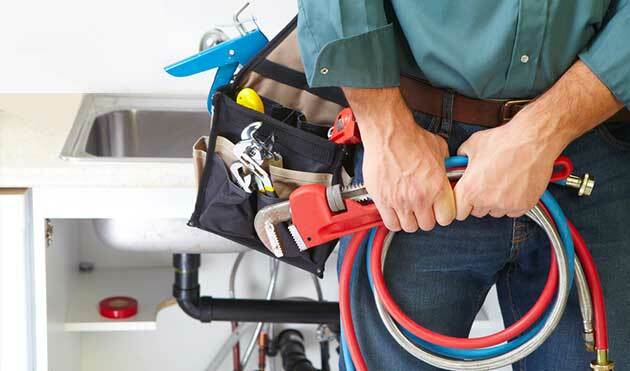 Option One Plumbing is the prime plumbing service provider in Phoenix, AZ. Name it, they have it. Whether it is residential, commercial, drain cleaning, mobile home plumbing, restaurant plumbing, or septic pumping services, they are just one call away. They have offices in Phoenix and Rancho Cucamonga and available to serve 24 hours a day, 7 days a week. Because Option One Plumbing knows, plumbing problem occurs at any time of the day(or night), they are always available to call for your convenience. Conserve water, call the best plumber in town Option One Plumbing and Rooter (800)-905-7115.